The easiest way to keep your car in tiptop condition is to follow the factory maintenance recommendations. You probably already know that your car needs to be maintained regularly to keep it in good running condition. You might even know that your car’s owners manual provides an in-depth schedule of the maintenance the factory recommends. Does Your Car Need Factory Scheduled Maintenance? What are normal driving conditions? That’s where things get complicated. You’re retired and only drive a few thousand miles a year? That’s not normal driving. And interestingly, that type of driving falls under the category of what most manufacturers would consider “extreme” driving. Weird, right? Then again, maybe you drive about 12,000 miles a year — what the manufacturer considers normal. But maybe there’s a lot of construction going on along your normal route. That’s considered extreme for the filters on your car, and maybe the oils, too. So how do you know how to follow the factory’s maintenance recommendations? Drop by your nearby Cottman center. Their staff is well versed in reading factory publications, and they’ll be able to evaluate your particular driving and work out a maintenance schedule that meets both your needs and the factory recommendations. 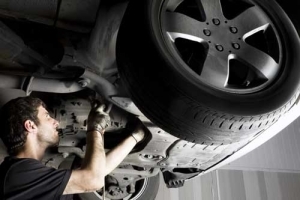 What’s more, once you’ve determined whether you fall into the normal or extreme driving category, they’ll be able to take care of your factory scheduled maintenance for you. Everything from a simple oil change to a full tune up or timing belt replacement, the technicians at your nearby Cottman are ready to help. So don’t wait: Call your local Cottman center and ask them to help you work out the details for your factory scheduled maintenance. They’ll get you on track for the long haul!